Having a lot of handwritten documents in your business can be really confusing if you want to digitize your business. Typing all the documents manually can take a lot of time to complete. Thus, handwriting recognition software is necessary for you to automate all the process. This software helps you to convert your handwritten documents into digitized text documents, which make them more readable and easier to store. This is useful if you want to convert all of your paper documents into digital documents. Not only paper documents, this software can also be used to recognize handwriting input from various sources, including touchscreen devices and photographs. TopOCR is an OCR software developed for document cameras, which is a new way to scan documents with the best accuracy. Thus, this software can be used to scan books and magazines and convert them into digital documents easily. It can output to PDF text and PDF image files, making it easier for you to keep and organize the digital documents in your drive. 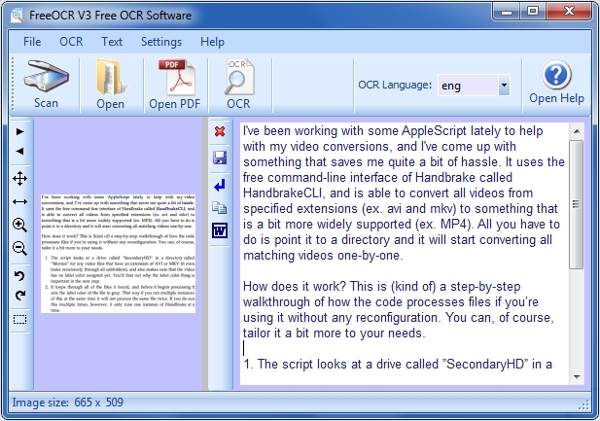 FreeOCR offers a handwriting recognition technology that allows you to scan handwritten documents and convert it into text format, which you can then export as a Microsoft Word document. The software can also scan your handwritten documents and convert it into a JPG image file or PDF. The software is only available for Microsoft Windows. 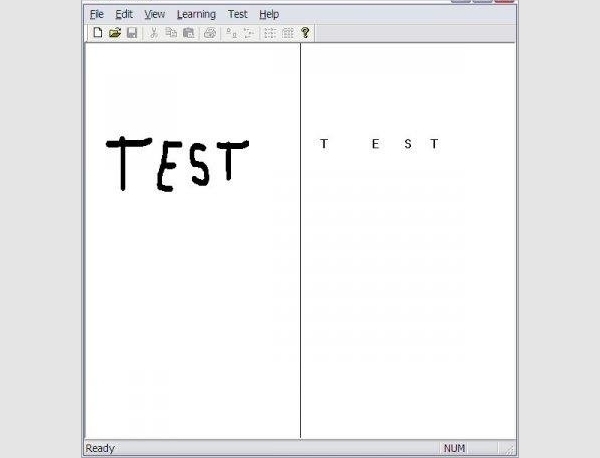 Neuroph OCR is an open source handwriting recognition tool that is developed to recognize various handwritten letters and characters. The software is available for Windows, Mac, and Linux, and it can be used as a standalone software or as a plug in. It is a simple software the gets the job done to recognize the handwritten letters and convert it into digital document formats. PenOffice provides an accurate handwriting recognition software with the extensive set of pen-based collaboration tools. It features new user interface, multi-monitor systems, multi-language support, new handwriting recognition engine, built-in dictionary, inline gestures, and customizable on-screen keyboard. 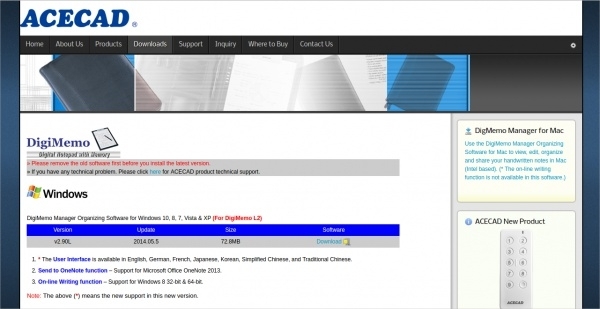 This software can be integrated with Microsoft Office and OpenOffice software. 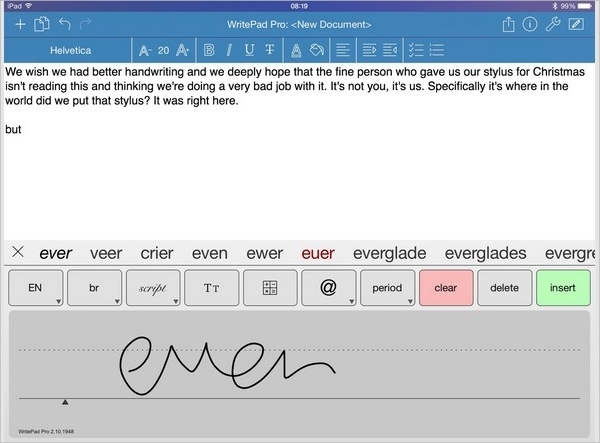 WritePad Pro is a word processing app with handwriting recognition engine embedded in it, allowing you to recognize your handwriting as you type on the iPad, iPhone, and iPod Touch devices. The app can save your file in HTML format, in which you can view in any web browser. It features handwriting recognition, document import formats, text formatting, multimedia, document sharing, translator, and a file manager. DigiMemo is a software that allows you to take and organize digital memo. It is embedded with memory and handwriting recognition. It features the user interface that is available in various languages, send to OneNote function, and online writing function. The handwriting recognition software provided by DigiMemo can help you to recognize handwriting, diagrams, tables, and shapes, and convert them into Microsoft Word format. 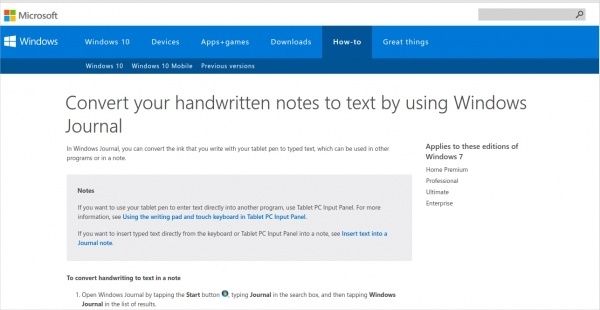 Some handwriting recognition software is available only for the Microsoft Windows platform, but some others are available for other platforms as well. Aside from that, there are some mobile apps that allow you to convert your handwriting into digital texts, and save the file as a Word document. Windows Journal is a built-in application that is available on Windows, which you can use to convert your handwritten letters into text documents. You can find this small utility by searching with the keyword “Journal” in your Windows search box. It offers the text correction feature, allowing you to keep the accuracy of your converted text. inkBook for Mac facilitates the old way of taking notes, allowing you to write your note as if you are writing it on a paper. Using a digital pen and tablet, you can easily create notes with your handwriting, and with the help of this software, convert it into text files accurately. It features multi-notebook style interface, customizable tabs, gestural input, handwriting recognition, and freeform layout. This simple app allows you to convert your handwriting into digital texts, with support for emoji. Aside from typing your handwriting directly on your Android phone or tablet, you can also covert printed and cursive writing into digital texts as well. It features touchscreen typing, voice input, emoji drawing, and support for all types of handwriting. This is a simple open-source software that allows you to convert your printed and cursive writing into text documents. This software is available only for Linux system. It can also recognize the gesture input that you give via your keyboard, handwriting input panel, or tablet computers. It should be used in collaboration with S/HIP (Stylus/Handwriting Input Panel) project. 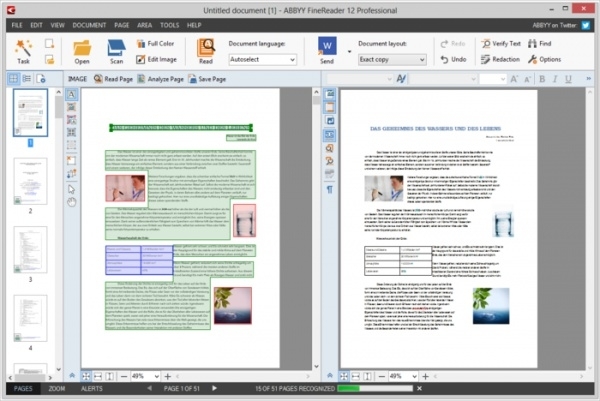 This software allows you to convert paper documents, PDF, and digital photos into editable text documents. The software’s main feature is that it provides the output text documents with a high level of accuracy, which helps you to reduce the amount of time needed for you to edit and format the output documents. The text recognition engine embedded in this software can recognize up to 190 different languages. 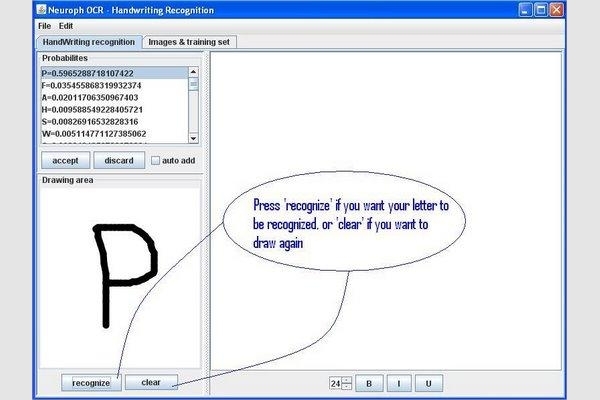 This handwriting recognition software is available for Windows and Mac. What is Handwriting Recognition Software? Handwriting recognition software, often called OCR software, is the type of software that allows you to convert your handwritten documents into digital documents. Not only that, the software can also convert the handwriting done on a touchscreen interface, using digital pen and stylus. You can convert your handwritten documents or texts into various formats, such as Microsoft Word, PDF, and JPG formats. Some handwriting recognition software can also recognize drawing, shapes, tables, and diagrams and convert them into digital formats as well. Whereas you can usually use this software with a stylus, digital pen, or any touchscreen device, you can also use your scanner and camera to scan your paper documents and convert them into digital documents with the help of this software. 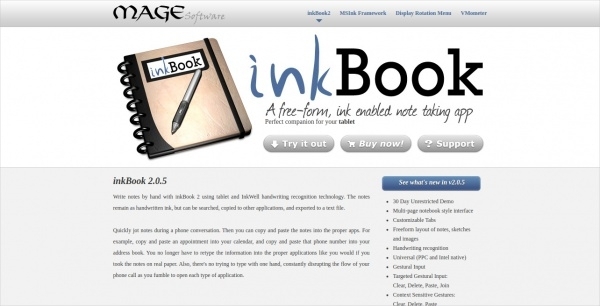 How to Install Handwriting Recognition Software? Some handwriting recognition software is only available for specific platforms. So, you should make sure that your platform is compatible with the software before you start installing it. To install the software, you need to download the installation file to your device and run the installation process by clicking the downloaded file. To use the software, you need to have the associated accessories, such as touchscreen panel, digital pen, and stylus. 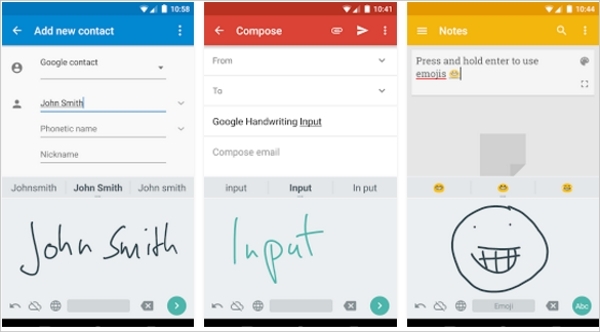 Some handwriting recognition software is also available for mobile devices. Converting paper documents into digital documents can take a lot of time to do if you do it manually. 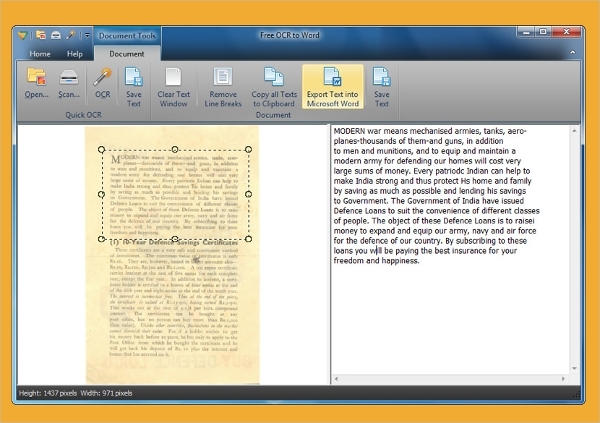 OCR or handwriting recognition software can help you to convert multiple paper documents into digital documents at the same time. This will save your time in the process. As the handwriting recognition technology is advancing day by day, the accuracy of the handwriting recognition software is increasing. Nowadays, you can accurately convert printed and cursive handwriting into digital text files without much editing needed. All the formatting is done by the software so that you don’t need to spend your time fixing errors due to bad accuracy in the handwriting recognition system.